TBH, we are pure developers unable to create well-designed assets in a DCC tool. Up to now, we have used free models from Mixamo and Sketchfab and made some minor performance related adjustments in Blender. However, we struggle to find an appropriate asset for the level. The current one is just a placeholder. What we have so far would be already okay since the shooter is not a commercial product but just a technical AI demo primarily intended for developers. However, a proper level asset would make the project more exciting. We are currently working in our free time at the project and have no budget. That means we are looking for someone who supports the project without a payment. Is it realistic to find somebody in the 3D graphics community who says: “Cool project! I’d like to support it!”? Or is it better to forget this whole idea and try to organize a budget, instead? I’ve never worked with such a community before (github is my playground) so I’m sorry if my request is somewhat naive. As you can see, the environment looks humble so far^^. 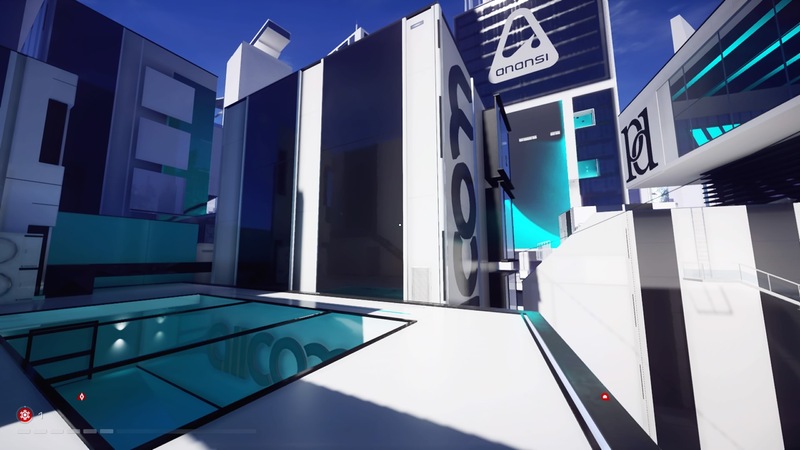 Ideally, it should be similar to the environment of the great game Mirror’s Edge. Futuristic, minimalistic with clean shapes and less colors. Of course we won’t achieve the same rendering quality like in the game so consider the following screenshot just as an orientation for something more simple. Hello, to answer briefly, yeah a budget will be nice, what you have to keep in mind is that most poeple don’t have free time, because time = money, and spending time in a project that will give no reward if quite difficult for some. however there still a chance of finding somebody who will help you for free. Your project looks cool…! I know it will be fun to be part of it, but i don’t have the time to work for free. If you can provide a budged i will help you. Don’t know how much you can give in this case, i think 100 USD is a good starting point for negotiation. For that amount and the respective credit i’ll help you. If you are interested PM me or answer this same thread.